WaikatoLink Limited, the technology commercial arm of the University of Waikato, has completed the sale of the business of spinout company 11Ants Analytics to a joint venture between Air New Zealand and Aimia Inc., the Canadian based data-driven marketing and loyalty analytics company. 11Ants Analytics was founded by WaikatoLink in 2007 based on machine learning research at the University of Waikato, and was venture backed by Endeavour Capital. 11Ants’ main product is 11Ants RAP, a cloud-based customer science platform for the retail sector including supermarkets, fuel retailing, home improvement, fashion, pharmacies and department stores, which transforms customer data into customer insights to enable deeper customer relationships. “11Ants Analytics is a great example of how the University can take ground breaking research and develop it through to stand alone commercial entities which can add tremendous value to some of New Zealand’s and the world’s largest companies,” says Duncan Mackintosh, CEO, WaikatoLink. 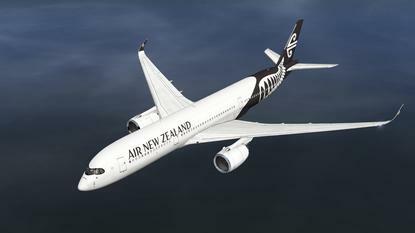 Air New Zealand General Manager Customer Value Hamish Rumbold says the airline has a strong focus on keeping customers at the core of its business. “Investing in new technologies and finding new ways to innovate enables us to take this to the next level, with decisions about our business and the products and services we offer our customers based on data insights from those same customers,” he adds. 11Ants Analytics’ investor and CEO Tom Fuyala says the acquisition will see 11Ants business expand into the 20 countries Aimia operates in, across several industries including the retail and travel sectors. Fuyala says the business, which has already licensed its solutions to a number of notable customers in New Zealand and Fortune 1000 clients around the globe, will remain based in Hamilton. “While this is a small tuck-in investment, working with an innovative airline partner such as Air New Zealand and the 11Ants team immediately adds to Aimia’s deep global data analytics and product capabilities, and is a fantastic opportunity for us to develop new products for the untapped travel sector,” adds Marc Allsop, Senior Vice President, Global Business Development, Aimia. According to Tenby Powell, Chairman of WaikatoLink, the deal is an “excellent example” of WaikatoLink’s strategic approach to transforming early stage technologies into “serious commercial ventures”. “We began with a raw technology, incubated it, raised venture capital, attracted a world-class management and technology team and ultimately sold the business to a consortium with the capability to turn it into a world leader,” he adds. Furthermore, Fuyala added that the governance and structure supplied by WaikatoLink and Endeavour Capital were unparalleled. “It makes for a very powerful dynamic, having a small nimble company with proper funding, governance, and processes to support growth,” he adds. This exit follows on from Duncan Mackintosh’s recent success capital raising for Ligar, another spinout company he co-founded for WaikatoLink. “Both these deals have been a long time in gestation and demonstrate not only WaikatoLink’s leadership and dedication to developing new opportunities from research, but also that “good things take time,” Powell adds. Mackintosh adds the sale was a success for 11Ants Analytics, major shareholders WaikatoLink and Endeavour Capital, and other minority investors. “The sale has resulted in an excellent translation of University knowledge for the benefit of New Zealand,” he adds. “Value capture is maximised by keeping 11Ants onshore, creating new employment opportunities, and transferring knowledge for the benefit of another New Zealand company.